Though Republican Donald Trump defeated Democrat Hillary Clinton on Election Day, votes throughout Fairfax County and specifically in Reston did not necessarily mirror the rest of the country. Members of the voting public in the 10th Congressional District re-elected Republican Barbara Comstock by 52 percent to Democrat Luann Bennett’s 46 percent. Nationwide, Republicans appear to have kept their majority in Congress and the Senate, as well. 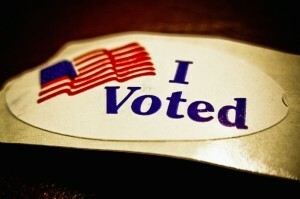 Additionally, several amendments and tax measures were on the ballot. Virginia’s proposed “right-to-work” constitutional amendment did not pass. The other amendment on the ballot, which would allow spouses of first responders killed in the line of duty to be exempt from property taxes if they remain in their home and have not remarried, passed. The controversial Fairfax County Meals Tax, which would have raised taxes on restaurant and prepared meals by an additional 4 percent to help fund schools and other county services and capital improvement projects, did not pass. The county’s Transportation Bond, however, did pass, giving the Board of Supervisors permission to sell bonds in the amount of $120 million to help fund improvements to roads, highways, facilities and transit. Fairfax County residents also showed love for their parks by passing a bond measure allowing the county to borrow roughly $107 million to contribute to the Northern Virginia Regional Park Authority for developing and maintaining local green spaces and facilities.